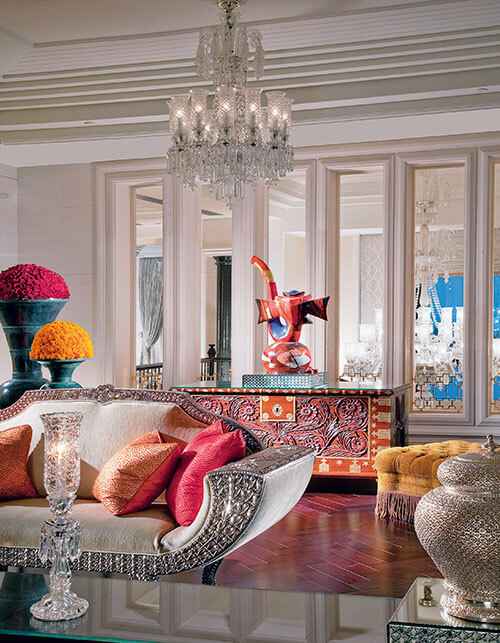 In a deferential nod to the architectural lineage of the well-heeled Chettinad Dynasty of southern India, the magnificent 326-room property embraces a historic designscape that encompasses towering columns, water bodies, decorated facades and old-world flooring. 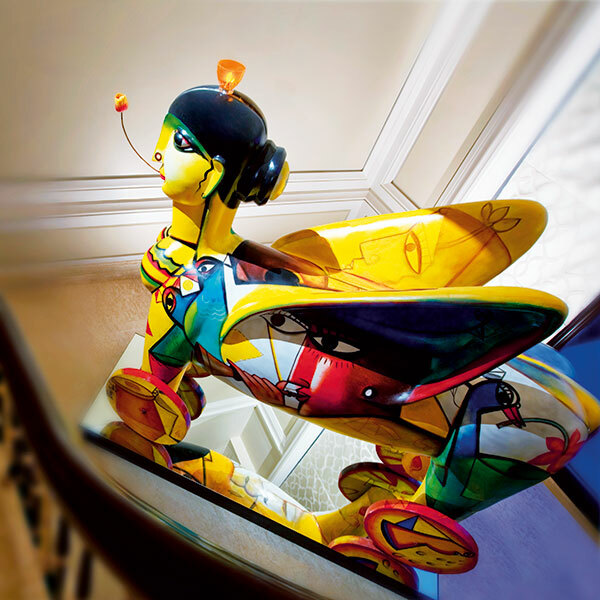 The lobby, bathed in the aroma of roses and marigolds, is home to a curated art collection that boasts antique-style bronzes and a startling winged-woman art installation by Paresh Maity at the side of a staircase. 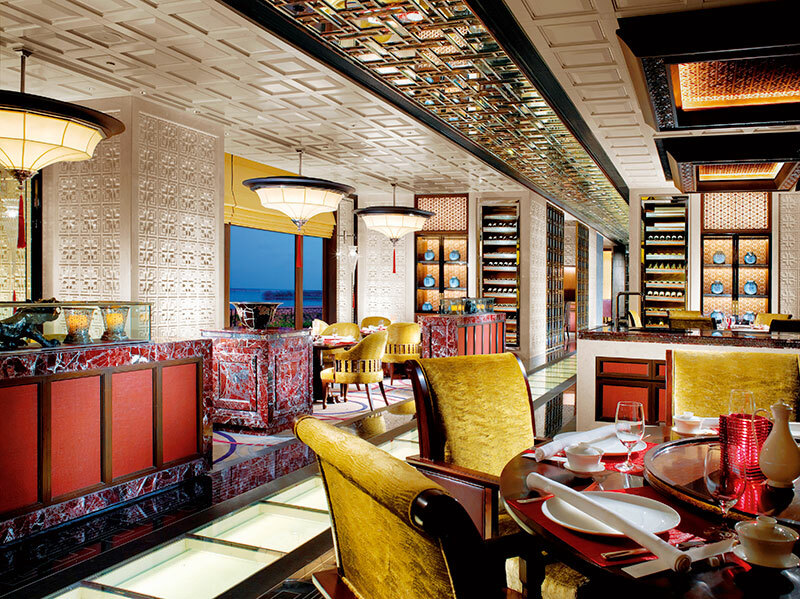 The Indian restaurant Jamavar showcases a ceiling embellished with 18 carat gold leaf. Among others, Chennai’s sizeable Korean population loves Spectra, the all-day restaurant that flaunts a bedazzling range of cuisines. Help yourself from seven live counters offering Mediterranean, Japanese, Thai, Continental, Indian, Italian and Lebanese specialities. Chef Pong Narin will personally create innovative platters of sushi and sashimi for a discerning palate while Thai chef Nisa Yimthong fills your plate with the flavours of Bangkok. We suggest a small power nap at your table before you check out the dessert counter! 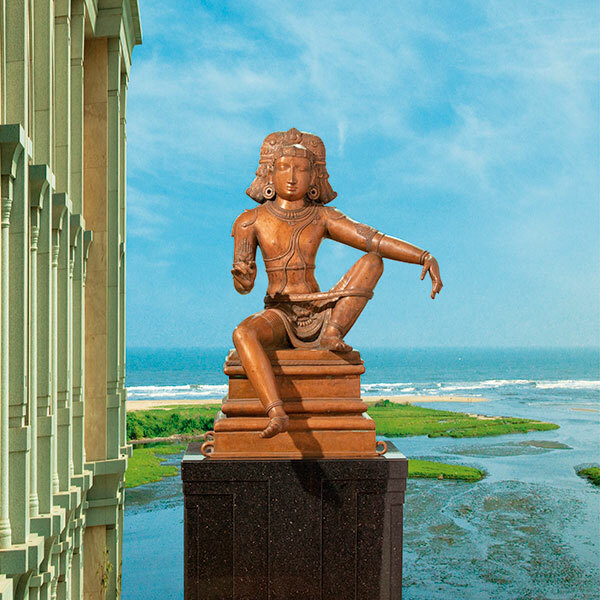 Jamavar, the Indian specialty restaurant that feeds melt-in-the-mouth paneer and kaali dal to its local patrons, does some innovative turns with southern staples like appams, stew and payasam, as well as with the famed Chettinad chicken and Alleppey fish curry. China XO, dressed in minimalistic chic by Studio Spin of Tokyo and home to spectacular Cantonese and Schezwan fare is where you may never look up from the zesty prawns or roast duck. Not even to hear legendary editor N Ram’s gentle chatter at the next table. The affable head chef Dharmen Makawana, riveting teller of tales of his journey from Surat to Agra via Sydney, Singapore and Cairo, also breaks a stereotype or two of ‘conservative Chennai diners’! 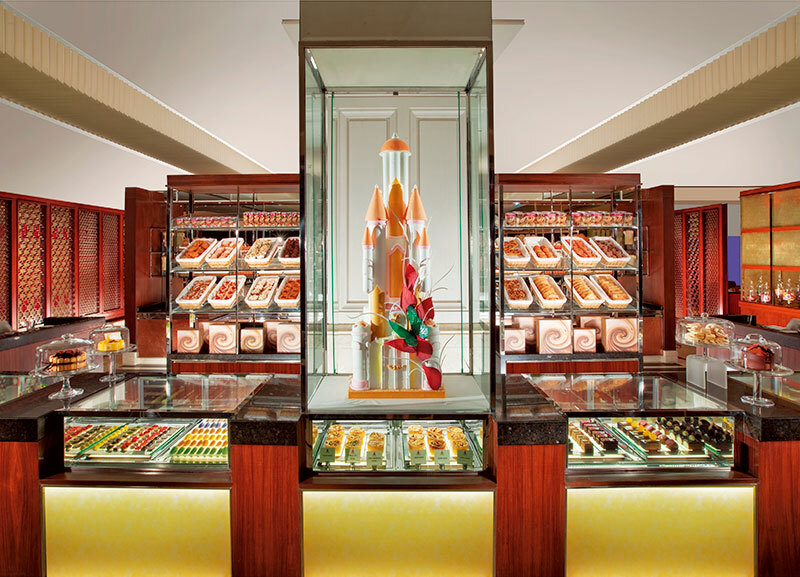 The Cake Shop at lobby level is a child’s dream come true. Fantastical birthday cakes lure viewers to stare wide-eyed through glass cases while freshly baked muffins and macaroons jostle with creamy confectionery and puffed up loaves. 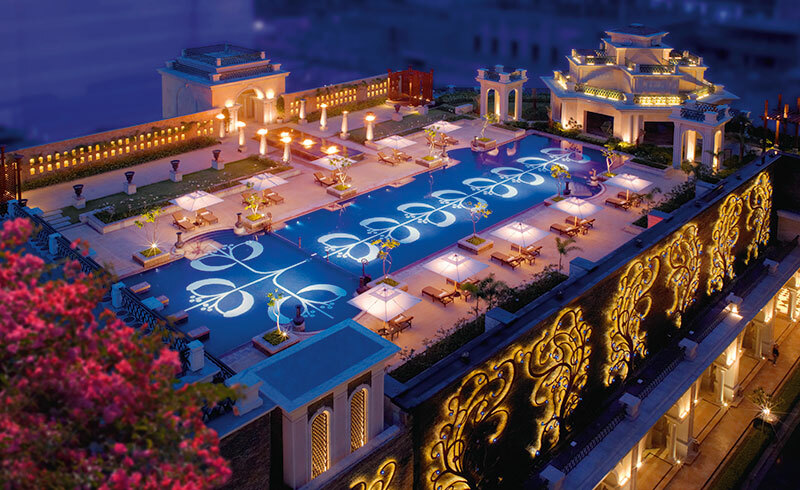 Wedding planners can pencil in a 16,500 square-foot Grand Ballroom with a private entrance for those diamond-studded affairs. 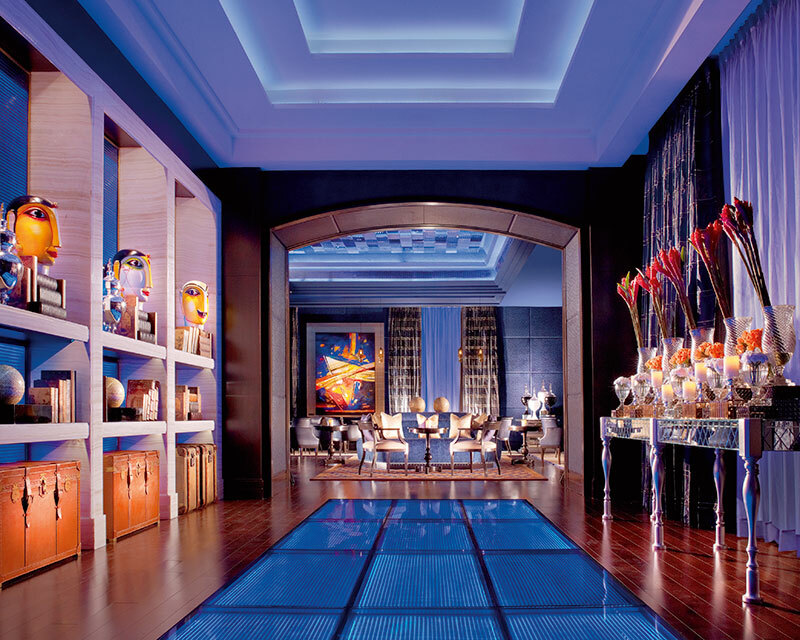 For the ones looking for an evening of rest and relaxation, Library Blu outfitted in mysterious shades of blue seduces the visitor with rare single malts, wines and cognacs. 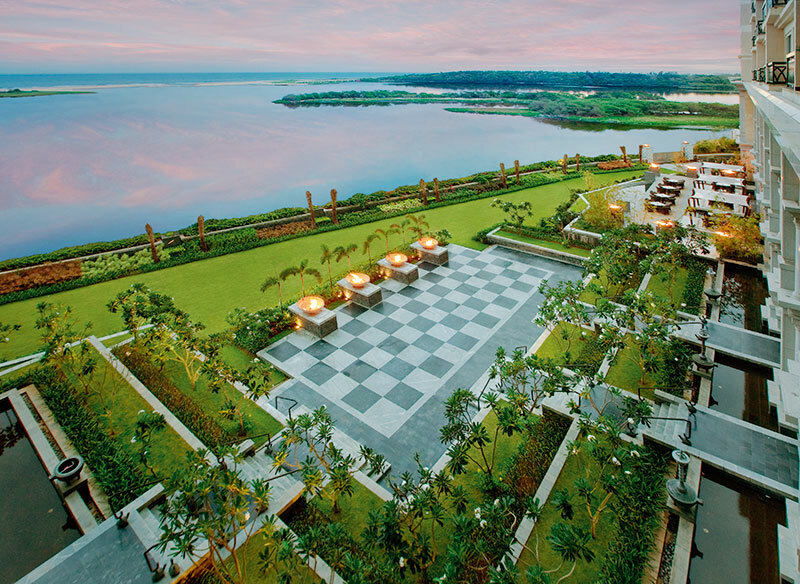 The property stands 11 storeys high on the Adyar estuary with a view of a quaint fishing village and the Bay of Bengal from the balconies of the sea-facing rooms. Bose speakers, high speed WiFi, iPod docks and noise-bouncing acoustics effectively calm the mind. 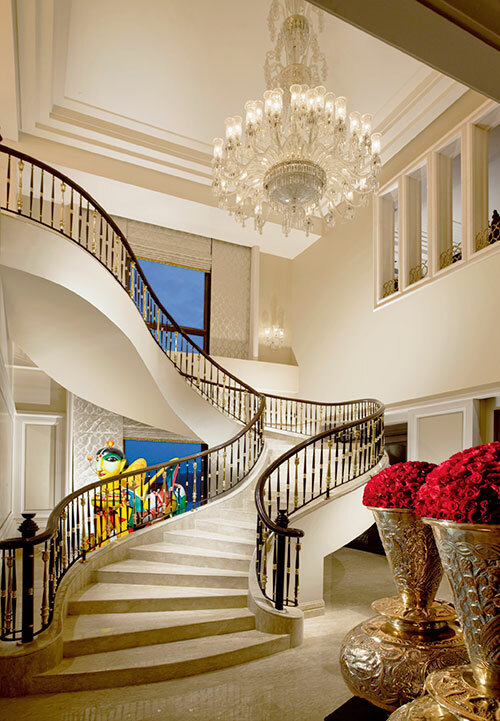 The pillows are just so, there are chocolates on the table and an aromatic bath ready to be slipped into. The Reception desk has even done a web check-in and got seat 11 C for the return flight. All’s quite well in this sumptuous little world.